Super Senso is a turn-based action strategy game that pits player versus player in fast-paced matches. Played on vivid 3D battlefields to compete for rare rewards, exclusive content and global supremacy. Being developed by Turbo, Super Senso is built specifically for mobile and tablets from the ground up. This is clearly a game for fans of similar titles like Advance Wars, Final Fantasy Tactics, or XCOM. Players battle on amazing high-fidelity battle fields. It features units like zombie soldiers, ninjas, weaponized dinosaurs, and UFOs. The ultimate goal of the game is to defeat an opponent’s units and base. 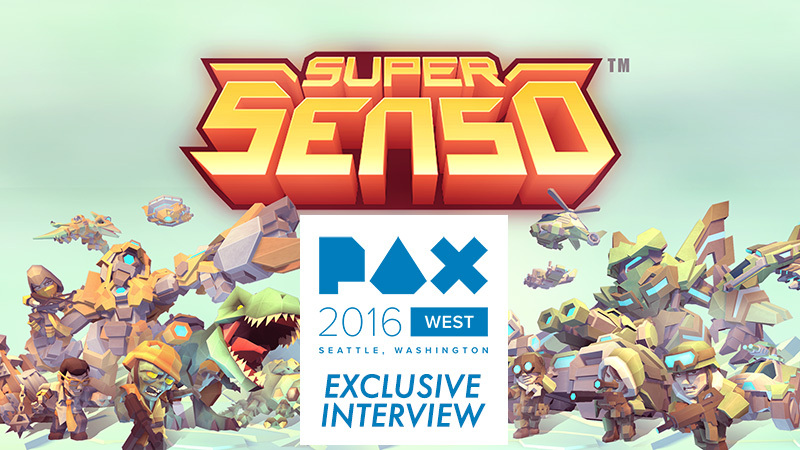 During Pax West, I gave Super Senso a try and absolutely loved it. The game was timed which led to rapid gameplay. But it wasn’t overly complicated and the battle field was extremely impressive. The demo featured a subset of units and an art style inspired by Nintendo. Equally impressive is learning that a few folks behind League of Legends are working on the title. Oh, and did I forget to mention the fact that it’s FREE?!? I got the chance to chat with Ray Bautista, formerly with Sony PlayStation and now the Sr. Director for Turbo, about this and more during Pax West 2016. For additional information, follow the game on Twitter (@SuperSensoGame), Facebook (facebook.com/SuperSenso) or Instagram (@SuperSenso). Inspired by Advance Wars, Super Senso is a FREE synchronous, turn-based action strategy game designed for competitive PvP play. Collect and unleash game changing Senso Mechs! Build a smash-up corp army of rage filled zombies, stealth ninjas, and dinosaurs to crush your enemies! Outplay, outsmart and obliterate you enemies!